Published: Oct. 17, 2018 at 01:50 p.m. Updated: Oct. 20, 2018 at 06:17 p.m. The Los Angeles Chargers and the Tennessee Titans travel to London for their Week 7 matchup at Wembley Stadium. Los Angeles Charger Girls toured and visited the city as the teams practiced and meet with fans. Review the week and game with the best photos of the Chargers and Titans in the UK. Los Angeles Chargers fans at The Admirality in Trafalgar Square in London on Saturday, Oct. 20, 2018. The Los Angeles Chargers drumline play at The Admirality in Trafalgar Square in London on Saturday, Oct. 20, 2018. The Los Angeles Chargers cheerleaders visit The Admirality in Trafalgar Square in London on Saturday, Oct. 20, 2018. The Los Angeles Chargers drumline and cheerleaders visit The Admirality in Trafalgar Square in London on Saturday, Oct. 20, 2018. The Tennessee Titans mascot T-Rac and cheerleaders visit the Barrowboy and Banker Pub near London Bridge on Saturday, Oct. 20, 2018. The Tennessee Titans mascot T-Rac interacts with fans at the Barrowboy and Banker Pub near London Bridge on Saturday, Oct. 20, 2018. Tennessee Titans cheerleaders pose for a photo at the Barrowboy and Banker Pub near London Bridge on Saturday, Oct. 20, 2018. Los Angeles Chargers fans get ready prior to NFL UK Live with the Los Angeles Chargers on Saturday, Oct. 20, 2018. Tennessee Titans head coach Mike Vrabel speaks during NFL UK Live with the Tennessee Titans on Saturday, Oct. 20, 2018. Former Los Angeles Chargers players LaDainian Tomlinson and Donnie Edwards speak NFL UK Live with the Los Angeles Chargers on Saturday, Oct. 20, 2018. Tennessee Titans quarterback Marcus Mariota (8) greets fans during NFL UK Live with the Tennessee Titans on Saturday, Oct. 20, 2018. Los Angeles Chargers quarterback Philip Rivers (17) signs a jersey during NFL UK Live with the Los Angeles Chargers on Saturday, Oct. 20, 2018. Former Titans players Jevon Kerse and Eddie George speak during NFL UK Live with the Tennessee Titans on Saturday, Oct. 20, 2018. Los Angeles Chargers players Philip Rivers, Melvin Gordon, Melvin Ingram, Russell Okung and head coach Anthony Lynn speak during NFL UK Live with the Los Angeles Chargers on Saturday, Oct. 20, 2018. Tennessee Titans quarterback Marcus Mariota (8) speaks during NFL UK Live with the Tennessee Titans on Saturday, Oct. 20, 2018. Tennessee Titans tight end Jonnu Smith (81) participates in the NFL Flag event with local children on Friday, October 19, 2018 at Syon House. Los Angeles Chargers cheerleaders participate in the NFL Flag events on Friday, October 19, 2019 in London. Tennessee Titans linebacker Rashaan Evans (54) participates in the NFL Flag event with local children on Friday, October 19, 2018 at Syon House. Tennessee Titans linebacker Nick DeLuca (46) participates in the NFL Flag event with local children on Friday, October 19, 2018 at Syon House. Local children celebrate during the NFL Flag and community event on Friday, October 19, 2018 in London. A child throws the ball during the NFL Flag and community event with London school children on Friday, October 19, 2018 in London. The Tennessee Titans pose for a photo with local children during the NFL Flag event at Syon House on Friday, October 19, 2018. Los Angeles Chargers quarterback Philip Rivers (17) speaks at a press conference after practice on Friday, October 19, 2018 in London. Los Angeles Chargers head coach Anthony Lynn speaks at a press conference after practice on Friday, October 19, 2018 in London. Tennessee Titans head coach Mike Vrabel speaks during a press conference at Syon House on Friday, October 19, 2018. Los Angeles Chargers defensive back Rayshawn Jenkins (23) catches the ball during practice on Friday, October 19, 2018 in London. Los Angeles Chargers quarterback Philip Rivers (17) throws the ball during practice on Friday, October 19, 2018 in London. Tennessee Titans mascot, cheerleader, linebacker Robert Spillane (42) dance during practice on Friday, October 19, 2018 in London. Los Angeles Chargers wide receiver Keenan Allen (13) catches the ball during practice on Friday, October 19, 2018 in London. A general view of Allianz Park during practice on Friday, October 19, 2018 in London. Los Angeles Chargers center Mike Pouncey (53), offensive guard Dan Feeney (66) and offensive tackle Cole Toner (64) greet children during practice on Friday, October 19, 2018 in London. A child dives for the ball during the NFL Flag and community event with London school children on Friday, October 19, 2018 in London. Los Angeles Chargers wide receiver Travis Benjamin (12) greets children during practice on Friday, October 19, 2018 in London. Former Chargers player LaDainian Tomlinson dives for the ball during the NFL Flag and community event with London school children on Friday, October 19, 2018 in London. Children throw the ball during the NFL Flag and community event with London school children on Friday, October 19, 2018 in London. A child smiles for a photo during the NFL Flag and community event with London school children on Friday, October 19, 2018 in London. Tennessee Titans offensive guard Quinton Spain (67) is seen in action during practice at Syon House on Friday, October 19, 2018. Tennessee Titans quarterback Marcus Mariota (8) runs the ball during practice at Syon House on Friday, October 19, 2018. Head coach Anthony Lynn Los Angeles Chargers arrives at London Heathrow Airport on Friday, October 19. 2018. Tennessee Titans quarterback Marcus Mariota (8) runs a drill during practice at Syon House on Friday, October 19, 2018. Tennessee Titans head coach Mike Vrabel looks on during practice at Syon House on Friday, October 19, 2018. Los Angeles Chargers quarterback Philip Rivers (17) arrives at London Heathrow Airport on Friday, October 19, 2018. Los Angeles Chargers Cheerleaders tour of London on October 17, 2018. Los Angeles Chargers and the Tennessee Titans play in the NFL London Game 2 at Wembley Stadium in London on Sunday, October 21st. 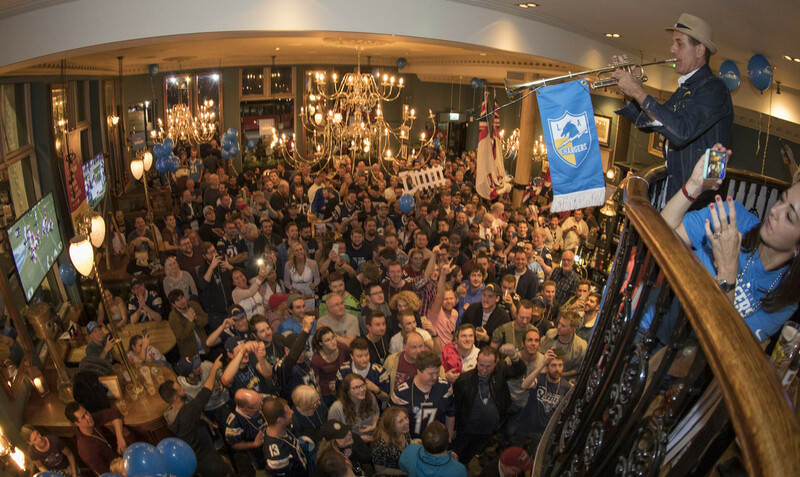 Los Angeles Chargers Cheerleaders visit the Admiralty Fan Pub in Trafalgar Square on Monday, October 17, 2018. Los Angeles Chargers Cheerleaders tour of Abbey Road in London on October 17, 2018. Los Angeles Chargers and the Tennessee Titans play in the NFL London Game 2 at Wembley Stadium in London on Sunday, October 21st. Los Angeles Chargers Cheerleaders tour of London Eye in London on October 17, 2018. Los Angeles Chargers and the Tennessee Titans play in the NFL London Game 2 at Wembley Stadium in London on Sunday, October 21st.